Montclair (/mɒn(t)ˈklɛər/) is a township in Essex County, New Jersey, United States. As of the 2010 United States Census, the township's population was 37,669, reflecting a decline of 1,308 (−3.4%) from the 38,977 counted in the 2000 Census, which had in turn increased by 1,248 (+3.3%) from the 37,729 counted in the 1990 Census. As of 2010[update], it was the 60th-most-populous municipality in New Jersey. 10th of 22 in county"
Montclair was first formed as a township on April 15, 1868, from portions of Bloomfield Township, so that a second railroad could be built to Montclair. After a referendum held on February 21, 1894, Montclair was reincorporated as a town, effective February 24, 1894. It derives its name from the French mont clair, meaning "clear mountain" or "bright mountain." In 1980, after multiple protests filed by Montclair officials regarding the inequities built into the federal revenue sharing system, Montclair passed a referendum changing its name to the "Township of Montclair," becoming the third of more than a dozen Essex County municipalities to reclassify themselves as townships to take advantage of federal revenue sharing policies that allocated townships a greater share of government aid to municipalities on a per capita basis. Montclair, which opened the state's first dispensary in December 2012, joins Bellmawr, Cranbury, Egg Harbor Township and Woodbridge Township as one of the five municipalities (of 565 in the state) that have authorized dispensaries for the sale of medical marijuana. A mural of the road map of Montclair from 1857, when it was known as West Bloomfield. According to the United States Census Bureau, the township has a total area of 6.315 square miles (16.357 km2), including 6.308 square miles (16.339 km2) of land and 0.007 square mile (0.018 km2) of water (0.11%). Montclair is on the east side of the First Mountain of the Watchung Mountains. Some higher locations in the township provide excellent views of the surrounding area and of the New York City skyline about 12 miles (19 km) away. Named localities in the township include Church Street, Frog Hollow, Montclair Heights, South End, Upper Montclair and Watchung Plaza. Montclair citizens use two main ZIP codes. The central and southern parts of the township are designated 07042. Upper Montclair lies north of Watchung Avenue and has a separate ZIP code, 07043. Because the ZIP codes do not exactly match municipal boundaries, a few homes near the borders with neighboring towns fall into the ZIP codes for those communities. A few homes in some adjoining municipalities use one of the two ZIP codes assigned to Montclair, as does HackensackUMC Mountainside (07042, formerly known as Mountainside Hospital), whose campus straddles the border with Glen Ridge. Small areas in the southeast of the township fall into the Glen Ridge ZIP code 07028. Several streams flow eastward through Montclair: Toney's Brook in the center, Nishuane Brook in the southeast, the Wigwam Brook in the southwest, Pearl Brook in the northwest, and Yantacaw Brook in the northeast – all in the Passaic River watershed. Yantacaw and Toney's brooks are dammed in parks to create ponds. Wigwam, Nishuane, and Toney's brooks flow into the Second River, and the others flow into the Third River. Montclair lies just north of the northernmost extent of the Rahway River watershed. The southern border of Montclair is a straight line between Eagle Rock, on the ridge of the First Watchung Mountain, and the point where Orange Road begins at the foot of Ridgewood Avenue. The eastern border is roughly a straight line between that point and a point just southwest of where Broad Street crosses the Third River. The western border runs roughly along the ridge of the First Watchung Mountain between Eagle Rock and the Essex County/Passaic County border. The northern border is the border between those two counties. Montclair has a temperate climate, with warm-to-hot, humid summers and cool to cold winters, as is characteristic of the Köppen climate classification humid continental climate. January tends to be the coldest month, with average high temperatures in the upper 30s Fahrenheit and lows averaging 21. July, the warmest month, features high temperatures in the mid-80s and lows in the 70s, with an average high of 86 degrees. From April to June and from September to early November, Montclair experiences temperatures from the lower 60s to the lower 70s. Montclair gets approximately 50 inches (1,270 mm) of rain per year, above the United States average of 39 inches (990 mm) (weather.com, weatherdb.com). Snowfall is common from December to early March, and totals about 30 inches (760 mm) annually. The number of days each year in Montclair with any measurable precipitation is 90; the area has an average of 202 sunny days. Montclair is one or two degrees warmer than the neighboring towns of Verona and Cedar Grove because of the mountain between them, which sometimes blocks winds and clouds, including warmer air from the ocean to the east. The township has long celebrated its diversity, a feature that has attracted many to the community. The African American population has been stable at around 30% for decades, although it fell from 32% in 2000 to 27% in 2010 (U.S. Census). Montclair has attracted many who work for major media organizations in New York City, including The New York Times and Newsweek. A March 11, 2007, posting in the blog Gawker.com listed some of those who work in the media and live in Montclair. Many residents are commuters to New York City and the Metro Area. As of the 2010 United States Census, there were 37,669 people, 15,089 households, and 9,445.714 families residing in the township. The population density was 5,971.2 per square mile (2,305.5/km2). There were 15,911 housing units at an average density of 2,522.2 per square mile (973.8/km2). The racial makeup of the township was 62.16% (23,416) White, 27.16% (10,230) Black or African American, 0.16% (59) Native American, 3.81% (1,434) Asian, 0.02% (9) Pacific Islander, 2.19% (826) from other races, and 4.50% (1,695) from two or more races. Hispanic or Latino of any race were 7.46% (2,810) of the population. There were 15,089 households out of which 33.9% had children under the age of 18 living with them, 46.1% were married couples living together, 13.2% had a female householder with no husband present, and 37.4% were non-families. 30.9% of all households were made up of individuals, and 8.9% had someone living alone who was 65 years of age or older. The average household size was 2.47 and the average family size was 3.15. In the township, the population was spread out with 25.5% under the age of 18, 6.2% from 18 to 24, 26.7% from 25 to 44, 30.3% from 45 to 64, and 11.3% who were 65 years of age or older. The median age was 39.9 years. For every 100 females there were 87.2 males. For every 100 females ages 18 and older there were 82.2 males. The Census Bureau's 2006–2010 American Community Survey showed that (in 2010 inflation-adjusted dollars) median household income was $95,696 (with a margin of error of +/- $5,396) and the median family income was $126,983 (+/- $8,950). Males had a median income of $83,589 (+/- $5,955) versus $66,063 (+/- $3,616) for females. The per capita income for the township was $53,572 (+/- $2,671). About 4.6% of families and 2.7% of the population were below the poverty line, including 7.0% of those under age 18 and 4.6% of those age 65 or over. As of the 2000 United States Census, 38,977 people, 15,020 households, and 9,687 families resided in the township. The population density was 6,184 people per square mile (2,389/km2). There were 15,531 housing units at an average density of 2,464 per square mile (951.8/km2). The racial makeup of the CDP was 59.77% White, 32.06% African American, 3.15% Asian, 0.19% Native American, 0.04% Pacific Islander, 1.77% from other races, and 3.03% from two or more races. Hispanic or Latino of any race were 5.12% of the population. Of the 15,020 households in Montclair, 34.3% included children under the age of 18, 47.2% were married couples living together, 14.1% had a female householder with no husband present, and 35.5% were non-families. Individuals living alone accounted for 29.3% of all households, and in 8.6% of households, that individual was 65 years of age or older. The average household size was 2.53 and the average family size was 3.16. Like most stable, mature communities, Montclair had many people in each age group, with 25.6% under the age of 18, 6.6% from 18 to 24, 31.9% from 25 to 44, 24.1% from 45 to 64, and 12.0% who were 65 years of age or older. The median age was 38 years. For every 100 females, there were 86.3 males. For every 100 females age 18 and over, there were 80.7 males. The median income for a household in the township was $74,894, and the median income for a family was $96,252. Males had a median income of $64,151 versus $43,520 for females. The per capita income for the township was $44,870. About 3.9% of families and 5.6% of the population were below the poverty line, including 5.4% of those under age 18 and 7.2% of those age 65 or over. Montclair Center, centered on the intersection of Bloomfield Avenue, South Fullerton Avenue, Glenridge Avenue and Church Street, is the township's main commercial zone. This intersection is also known as Six Corners. It is home to some of Montclair's largest stores and restaurants, and features many upscale restaurants and boutiques near the center of this commercial district. Near the eastern end of this district is Lackawanna Plaza, a shopping center with about ten stores built inside the former Lackawana railway station. There is a post office one block to the north of this area. In 2015, Montclair Center won the Great American Main Street Award from the National Trust for Historic Preservation. Upper Montclair, in the north of the town, is the second largest commercial zone. The center is the intersection of Valley Road and Bellevue Avenue, and incorporates the surrounding areas. The Upper Montclair Business District is home to several restaurants and shops. This commercial zone is home to several chain stores such as Starbucks, Talbots, Williams-Sonoma, Gap, Cold Stone Creamery, Supercuts and CVS. Despite the recession, the area in 2009–2010 saw the opening of several new national and local merchants. Upper Montclair also has both a park, Anderson Park, and a railway station, Upper Montclair, nearby. There is a post office here. Watchung Plaza is located around the intersection of Watchung Avenue and Park Street, and is on the divide between two Montclair ZIP codes, 07042 and 07043. It is home to many "Mom and Pop Stores" and other small businesses. Watchung Plaza has its own post office. It is served by the Watchung Avenue station. Walnut Street, built around the Walnut Street train station. In the spring, summer, and fall it is home to the Montclair Farmer's Market. South End, in the south of town, at the intersection of Cedar Avenue and Orange Road. Valley Road, between Chestnut Street and Claremont Avenue, is known locally as "Frog Hollow." This area has some strip-mall style shops on one side of Valley Road, and on the other side window shops with residential apartments on top of them. Montclair hosts many art institutions and theaters, and despite its relatively small size, has many art venues. It has its own art museum, the Montclair Art Museum, and several small galleries. Montclair also hosts one cinema, the Clairidge Cinema on Bloomfield Avenue which shows different types of movies from documentaries to small scale indie films. The township hosted its first annual film festival in 2012 to provide a platform for filmmakers from New Jersey, the US and the world. Live theaters include The Montclair Operetta Company, the Wellmont Theatre, Montclair State University's Kasser Theater, Montclair State University's theater in Life Hall, and the Studio Playhouse. On Bloomfield Avenue there is a public stage used for concerts and other events. Dotted around Montclair there are also many art galleries, though most are centered in the Bloomfield Avenue Downtown Area. Concerts are held at the Wellmont Theatre and at several churches and auditoriums sponsored by Outpost in the Burbs, a community-based organization. In 2017, The Montclair Orchestra was formed as a semi-professional orchestra, composed of both professionals and students from top colleges. Montclair was the setting for some of the stories in the HBO television series The Sopranos, and many Montclair streets, locations and businesses were featured in the show, such as Bloomfield Avenue. Minor league baseball New Jersey Jackals of the Can-Am League. The Jackals play at Yogi Berra Stadium, which has seating for 3,784, plus overflow capacity. New York Red Bulls II, the United Soccer League affiliate of Major League Soccer's New York Red Bulls, play at Montclair State University as of 2017. Floyd Hall Arena, an ice rink which is actually located in Little Falls on the grounds of Montclair State University and is host to its ice hockey club. The facility also hosts other hockey leagues and teams and other on-ice sports. Home to the New Jersey Pride of Major League Lacrosse for the 2004 and 2005 seasons. Montclair Rugby Club, also known as the Norsemen, of USA Rugby Division 2. They play at Codey Field. Essex Eagles cricket team, a Division III team in the Cricket League of New Jersey. Montclair is home to many parks and nature reserves. Parks in Montclair are both county and municipal. Additional open space includes the Presby Memorial Iris Gardens, and many school owned sports fields, viz., Montclair State University's Sprague Field. In total Montclair has 153.9 acres (0.623 km2) of township park land spread over 18 parks and 123.8 acres (0.501 km2) of county park land consisting of five parks. Municipal parks include Mountainside Park, the township's largest at 33.2 acres (13.4 ha), which offers extensive tennis and recreation facilities, and includes the Presby Memorial Iris Gardens, a 6.5-acre (2.6 ha) living museum donated by the family of Frank Presby that is maintained by volunteers and dedicated to the iris. Covering nearly 20 acres (8.1 ha) of wetlands and uplands along the Third River, the Alonzo F. Bonsal Wildlife Preserve offers hiking trails and other passive recreation. Yantacaw Brook Park, covering 11.5 acres (4.7 ha), surrounds a pond that is fed by Yantacaw Brook and that in turn feeds into the Third River on its way towards the Passaic River. The township has 18 public tennis courts, four skating rinks (two of which are indoor), and three public swimming pools: the Mountainside pool, the Nishuane pool, and the Essex pool. In 2007, township residents advocated for construction of a public skatepark. Community members revitalized the effort in 2010 and lobbied the Parks and Recreation Committee for support. The township council passed a resolution expressing approval of the project, but allocated no funds for it. Since July 1, 1988, Montclair has been governed under the council-manager plan 13 form of municipal government under the Faulkner Act, whose originator, Bayard H. Faulkner, was a former mayor of Montclair. The government consists of a mayor and a six-member Township Council. The mayor and council are all elected to four-year terms in concurrent nonpartisan elections. The mayor and two council seats are elected at-large, with four council seats elected from each of four wards. A deputy mayor is selected by the six council members from their members, and this position is largely ceremonial. Though the Mayor has no executive powers, the Mayor presides over council meetings and has both a voice and vote in its proceedings. The Mayor appoints members to many local governing groups, most notably the board of education. As of 2017[update], the Mayor of Montclair is Robert D. Jackson. Members of the Montclair Township Council are Deputy Mayor William L. Hurlock (First Ward), Dr. Renée E. Baskerville (Fourth Ward), Rich McMahon (At-Large), Robert J. Russo (At-Large), Robin Schlager (Second Ward) and Sean Spiller (Third Ward), all of whom serve terms of office that end on June 30, 2020. In elections held on May 8, 2012, Robert D. Jackson won election as mayor, defeating Karen Turner and Harvey Susswein. Almost all of Jackson's Montclair 2012 slate also won office, with Rich McMahon and former Mayor Robert Russo winning the two at-large seats, Robin Schlager winning the Second Ward and Sean Spiller taking the Third Ward. For Montclair's Bill Hurlock won the First Ward seat and incumbent councilwoman Dr. Renée Baskerville, who ran as an independent, won the Fourth Ward seat. The new council took office on July 1, 2012. Russo was chosen by the council to be deputy mayor, succeeding Kathryn Weller-Demming. Logo of Montclair, depicting the letter 'l' as the memorial obelisk in Edgemont Memorial Park. Montclair is split between the 10th and 11th Congressional Districts and is part of New Jersey's 34th state legislative district. Prior to the 2010 Census, Montclair had been part of the 8th Congressional District and the 10th Congressional District, a change made by the New Jersey Redistricting Commission that took effect in January 2013, based on the results of the November 2012 general elections. The split that took effect in 2013 drew the southern section of the township (26,730 residents) into the 10th District, while the northern portion (11,299 residents) moved to the 11th District. For the 2018–2019 session (Senate, General Assembly), the 34th Legislative District of the New Jersey Legislature is represented in the State Senate by Nia Gill (D, Montclair) and in the General Assembly by Thomas P. Giblin (D, Montclair) and Britnee Timberlake (D, East Orange). Timberlake was sworn into office on January 29, 2018 to fill the seat of Sheila Oliver, who had resigned from office on January 9, 2018 to become Lieutenant Governor of New Jersey. The Governor of New Jersey is Phil Murphy (D, Middletown Township). The Lieutenant Governor of New Jersey is Sheila Oliver (D, East Orange). As of March 23, 2011, there were a total of 27,289 registered voters in Montclair, of which 14,782 (54.2%) were registered as Democrats, 2,581 (9.5%) were registered as Republicans and 9,903 (36.3%) were registered as Unaffiliated. There were 23 voters registered to other parties. In the 2012 presidential election, Democrat Barack Obama received 83.0% of the vote (15,811 cast), ahead of Republican Mitt Romney with 15.9% (3,034 votes), and other candidates with 1.1% (201 votes), among the 19,576 ballots cast by the township's 29,463 registered voters (530 ballots were spoiled), for a turnout of 66.4%. In the 2008 presidential election, Democrat Barack Obama received 83.0% of the vote (17,396 cast), ahead of Republican John McCain with 15.7% (3,294 votes) and other candidates with 0.6% (132 votes), among the 20,951 ballots cast by the township's 27,476 registered voters, for a turnout of 76.3%. In the 2004 presidential election, Democrat John Kerry received 78.8% of the vote (15,597 ballots cast), outpolling Republican George W. Bush with 20.2% (3,995 votes) and other candidates with 0.6% (157 votes), among the 19,804 ballots cast by the township's 25,762 registered voters, for a turnout percentage of 76.9. In the 2013 gubernatorial election, Democrat Barbara Buono received 70.5% of the vote (7,613 cast), ahead of Republican Chris Christie with 28.3% (3,057 votes), and other candidates with 1.2% (131 votes), among the 10,941 ballots cast by the township's 29,768 registered voters (140 ballots were spoiled), for a turnout of 36.8%. In the 2009 gubernatorial election, Democrat Jon Corzine received 73.9% of the vote (10,139 ballots cast), ahead of Republican Chris Christie with 18.7% (2,573 votes), Independent Chris Daggett with 5.8% (801 votes) and other candidates with 0.8% (104 votes), among the 13,723 ballots cast by the township's 26,843 registered voters, yielding a 51.1% turnout. Montclair is considered a commuter suburb of New York City. NJ Transit and DeCamp Bus Lines are the providers of public transportation. The average Montclair commute is 38 minutes each way. Twenty-four percent of commuters take mass transit, while 59% drive alone. Twelve times more Montclair commuters take mass transit than the national average. As of May 2010[update], the township had a total of 100.62 miles (161.93 km) of roadways, of which 86.68 miles (139.50 km) were maintained by the municipality and 13.94 miles (22.43 km) by Essex County Road Dept. Major roads in the township include CR 506 (Bloomfield Avenue). There is a taxi stand off of Bloomfield Avenue in eastern Montclair, in front of Lackawanna Plaza, formerly the Montclair train station. #11 from Downtown Newark through Verona, Cedar Grove, and Little Falls to Willowbrook Mall in Wayne. The only Montclair street it goes along is Bloomfield Avenue. #29 between West Caldwell and Newark, passing through Caldwell, Verona, Montclair, Glen Ridge, and Bloomfield on Bloomfield Avenue. It goes to Parsippany at rush hour. The only Montclair street it goes along is Bloomfield Avenue. #34 to Newark through East Orange and Orange on some trips, otherwise it goes to Bloomfield along Orange Road, Elm Street, and Bloomfield Avenue. It goes farther to the Montclair High School during that school's start and end times. #97 goes from the Montclair Center south along Orange and Harrison Roads through the Oranges. #191 goes from Willowbrook Mall through Little Falls to Montclair State University, then to the Port Authority Bus Terminal in Midtown Manhattan. #705 goes from Passaic along Alexander Avenue, Grove Street (for one block), Mt. Hebron Road and through Montclair State University to Willowbrook Mall. All of these routes except #97, #191, and #705 were trolley lines originally, operated by the Public Service Railway. A trolley garage existed on Bloomfield Avenue. In the 1930s and 1950s the trolleys were destroyed and replaced with buses. DeCamp Bus Lines routes 33 and 66 run through Montclair to the Port Authority Bus Terminal in New York City, carrying primarily commuters. Montclair State University has shuttle buses going around its campus. The township of Montclair operates a jitney in the evening from the Bay Street train station to the southern end of Montclair. Running through Montclair is the Montclair-Boonton Line, serving New York Penn Station via Hoboken Terminal to the east, and Hackettstown to the west. Seven NJ Transit Rail stations serve Montclair: Bay Street, Walnut Street, Watchung Avenue, Upper Montclair, Mountain Avenue, and Montclair Heights in Montclair, and Montclair State University Station in the Great Notch area of Little Falls, New Jersey. Of these seven stations, only Bay Street station has weekend train service. Montclair has a long history of railroads. The first railroad to Montclair was built in 1856 by the Newark and Bloomfield Railroad. It terminated at a station in Downtown Montclair. First the Morris and Essex Railroad, then the Delaware, Lackawanna and Western Railroad leased the line. In 1868, the Montclair Railway built another line through Montclair, which caused disputes leading to Montclair's separation from Bloomfield. Shortly afterward it was taken over by the New York and Greenwood Lake Railway, a subsidiary of the Erie Railroad. A third railroad to Morristown was planned in 1860 and construction began, but the Panic of 1873 ended the project. In 1912 the Lackawanna Railroad built a large terminal at the end of their line. The Erie and Lackawanna Railroads later merged, forming the Erie-Lackawanna Railroad, which operated both lines for many decades. They were next operated by Conrail for approximately one year, after which NJ Transit took over passenger operations and Conrail continued freight operations. Meanwhile, the 1912 terminal was closed in 1981 and converted into shops. This station was replaced by the Bay Street station. In 2002, the two railway lines were connected with the construction of the Montclair Connection. Montclair is noted for its historic architecture. It is home to six historic districts listed on the Register of Historic Places of both the state and country as a whole, 92 individually listed landmarks, and two locally designated commercial districts. Works by significant architects include designs by Van Vleck and Goldsmith, Charles Follen McKim, McKim, Mead, and White, Henry Hudson Holly, Charles A. Platt, Alexander Jackson Davis, Dudley Van Antwerp, Effingham R. North, Montrose Morris, and Frances Nelson, among others. Montclair has also housed many hotels, such as the defunct Hotel Montclair. In 2013, plans were announced to bring a new hotel to Montclair, featuring 100 rooms and a liquor license. The Montclair Public Schools serve students in kindergarten through twelfth grade. As of the 2011–12 school year, the district's 11 schools had an enrollment of 6,625 students. Schools in the district (with 2011–12 enrollment data from the National Center for Education Statistics) are seven elementary schools (K-5, except as noted, with enrollment and magnet program listed in parentheses) — Bradford School (456 students, Magnet Theme: The University Magnet), Charles H. Bullock School (432, Environmental Science), Edgemont Montessori School (304, Montessori), Hillside School (3–5; 626, Gifted and Talented), Nishuane School (K-2; 430, Gifted and Talented), Northeast School (457, Global Studies) and Watchung School (456, Science and Technology) — Glenfield Middle School (717, Visual and Performing Arts), Buzz Aldrin Middle School (548, Science, Technology, Engineering & Math) and Renaissance at Rand (253, Liberal Arts) for grades 6–8, along with Montclair High School (1,946) for grades 9–12. Montclair is home to Montclair State University, which was founded in 1908 as the New Jersey State Normal School at Montclair. The Roman Catholic Archdiocese of Newark supervises the operation of Immaculate Conception High School (coed) and Lacordaire Academy (for girls)at the high school level and Lacordaire Academy Lower Division and St. Cassian School for grades PreK-8. In 2016, St. Cassian School was one of ten schools in New Jersey, and one of four private schools in the state, recognized as a National Blue Ribbon School by the United States Department of Education, a recognition celebrating excellence in academics. Montclair is also home to a host of private and parochial schools, including Montclair Kimberley Academy, Montclair Community Pre-K, Virginia Harkness Sawtelle Learning, Maria Montessori Early Learning, Montclair Cooperative School, Trinity Academy and Deron School II. Montclair has three local newspapers, the Montclair Dispatch, the Montclair Times and as of 2017, The Montclair Local. 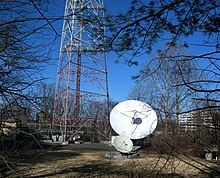 In addition, there is a radio station at 90.3 FM on the campus of Montclair State University, WMSC. The township has a municipal public service television channel, Channel 34, where township council and school board meetings are broadcast. Montclair High School has its own paper the Mountaineer, and Montclair State University has its own student-run paper, the Montclarion. In the 1948 biographical novel Cheaper by the Dozen, the principal characters Frank Bunker Gilbreth Sr. and Lillian Moller Gilbreth live in Montclair, as the authors did in real life. ^ a b Mayor & Council, Montclair Township. Accessed June 13, 2017. ^ 2017 New Jersey Mayors Directory, New Jersey Department of Community Affairs. Accessed May 30, 2017. As of date accessed, Jackson is listed as mayor with an incorrect term-end date of December 31, 2020. ^ Township Manager, Township of Montclair. Accessed July 4, 2016. ^ Municipal Clerk, Township of Montclair. Accessed July 4, 2016. ^ a b 2012 New Jersey Legislative District Data Book, Rutgers University Edward J. Bloustein School of Planning and Public Policy, March 2013, p. 148. ^ U.S. Geological Survey Geographic Names Information System: Township of Montclair, Geographic Names Information System. Accessed March 8, 2013. ^ a b c d e f DP-1 – Profile of General Population and Housing Characteristics: 2010 for Montclair township, Monmouth County, New Jersey, United States Census Bureau. Accessed April 5, 2012. ^ a b c Table DP-1. Profile of General Demographic Characteristics: 2010 for Montclair township, New Jersey Department of Labor and Workforce Development. Accessed April 5, 2012. ^ a b PEPANNRES – Annual Estimates of the Resident Population: April 1, 2010 to July 1, 2016 – 2016 Population Estimates for New Jersey municipalities, United States Census Bureau. Accessed June 16, 2017. ^ a b GCT-PH1 Population, Housing Units, Area, and Density: 2010 – State – County Subdivision from the 2010 Census Summary File 1 for New Jersey, United States Census Bureau. Accessed October 11, 2012. ^ Look Up a ZIP Code for Montclair, NJ, United States Postal Service. Accessed April 5, 2012. ^ ZIP codes, State of New Jersey. Accessed October 3, 2013. ^ Area Code Lookup – NPA NXX for Montclair, NJ, Area-Codes.com. Accessed October 3, 2013. ^ A Cure for the Common Codes: New Jersey, Missouri Census Data Center. Accessed July 8, 2012. ^ Table 7. Population for the Counties and Municipalities in New Jersey: 1990, 2000 and 2010, New Jersey Department of Labor and Workforce Development, February 2011. Accessed October 11, 2012. ^ Staff. "N.J.'s population shifting to coast, south", USA Today. Accessed April 5, 2012. ^ History of Montclair, Montclair Township. Accessed August 5, 2007. "When Bloomfield authorities declined to authorize a bond issue to underwrite another railroad, Montclair residents were successful in securing from the State legislature a charter for a separate township. Thus in 1868, the Township of Montclair was created." ^ Snyder, John P. The Story of New Jersey's Civil Boundaries: 1606–1968, Bureau of Geology and Topography; Trenton, New Jersey; 1969. p. 129. Accessed July 6, 2012. ^ Gannett, Henry. The Origin of Certain Place Names in the United States, p. 21. United States Government Printing Office, 1905. Accessed September 7, 2015. ^ Hanley, Robert. "Opponent of Distribution Formula For Federal Aid Steps Up Attack; As South Orange Moves to Become Township, Montclair Aide Calls for Equitable Sharing", The New York Times, August 29, 1977. Accessed August 9, 2018. "Montclair, Aug. 26 A Town Commissioner here is intensifying his five-year-long campaign to correct what he considers are inequities in the distribution of Federal revenue-sharing money that allows diversion of the grants to New Jersey's townships at the expense of the state's needy cities." ^ "Hackensack University Health Network and LHP Hospital Group" Archived 2013-10-05 at the Wayback Machine, HackensackUMC Mountainside, July 12, 2012. Accessed October 3, 2013. "HackensackUMC Mountainside, located on the Montclair/Glen Ridge border, is known for providing access to state-of-the-art patient care in a nurturing, community hospital setting." ^ Roll, Erin. "Glen Ridge baby boom: More than 500 births so far in 2013", Glen Ridge Voice, August 1, 2013. Accessed October 3, 2013. "Mountainside is located on the Montclair-Glen Ridge border, and the hospital's mailing address is listed as Montclair. But because the hospital building itself is located in Glen Ridge, every child born at the hospital has Glen Ridge listed as their place of birth." ^ Compendium of censuses 1726–1905: together with the tabulated returns of 1905, New Jersey Department of State, 1906. Accessed October 3, 2013. ^ Staff. 1914 Year Book, p. 69. Board of Trade of the City of Newark, 1914. Accessed October 11, 2012. ^ Raum, John O. The History of New Jersey: From Its Earliest Settlement to the Present Time, Volume 1, p. 243, J. E. Potter and company, 1877. Accessed October 3, 2013. "Montclair was formed from Bloomfield, April 15th, 1868. The first mountain forms its boundary on the west, and separates it from Caldwell township. Population in 1870, 2,853." ^ Staff. A compendium of the ninth census, 1870, p. 258. United States Census Bureau, 1872. Accessed October 3, 2013. ^ Porter, Robert Percival. Preliminary Results as Contained in the Eleventh Census Bulletins: Volume III – 51 to 75, p. 98. United States Census Bureau, 1890. Accessed October 3, 2013. ^ Thirteenth Census of the United States, 1910: Population by Counties and Minor Civil Divisions, 1910, 1900, 1890, United States Census Bureau, p. 336. Accessed July 8, 2012. 1890 population for Montclair Township is listed in Footnote 11. ^ Fifteenth Census of the United States : 1930 – Population Volume I, United States Census Bureau, p. 711. Accessed July 8, 2012. ^ Table 6. New Jersey Resident Population by Municipality: 1930 – 1990, New Jersey Department of Labor and Workforce Development. Accessed June 28, 2015. ^ a b c d e Census 2000 Profiles of Demographic / Social / Economic / Housing Characteristics for Montclair township, Essex County, New Jersey, United States Census Bureau. Accessed March 26, 2012. ^ a b c d e DP-1: Profile of General Demographic Characteristics: 2000 – Census 2000 Summary File 1 (SF 1) 100-Percent Data for Montclair township, Essex County, New Jersey, United States Census Bureau. Accessed October 11, 2012. ^ Goodnough, Abby. "SCHOOLS: REFERENDUM; How to Pick the School Board? ", The New York Times, October 22, 1995. Accessed April 5, 2012. "In a town that has always been proud of its diversity – many residents say it was their primary reason for moving to Montclair – the difference of opinion has caused considerable strife." ^ Where They Weekend: Montclair, NJ, Gawker.com, March 11, 2007. Accessed July 3, 2007. ^ DP03: Selected Economic Characteristics from the 2006–2010 American Community Survey 5-Year Estimates for Montclair township, Essex County, New Jersey, United States Census Bureau. Accessed April 5, 2012. ^ "Montclair Center BID, Montclair, New Jersey: 2015 Great American Main Street Award Winner". National Trust for Historic Preservation. March 29, 2015. Retrieved April 1, 2015. ^ a b "Mission | Montclair Film Festival". Montclairfilmfest.org. Retrieved 2013-03-26. ^ Home page, Montclair Museum. September 3, 2009. ^ Segedin, Andrew. "Montclair remembers 'Soprano' days", The Montclair Times, July 1, 2013. Accessed October 3, 2013. "Tierney's is far from the only Montclair establishment in which The Sopranos filmed. According to the Montclair Township Clerk's Office, the show also filmed at Montclair High School, Applegate Farms, the intersection of Bradford and Upper Mountain avenues, Valley Road and Madison Avenue." ^ Yogi Berra Stadium, New Jersey Jackals. Accessed October 3, 2013. ^ Staff. "New York Red Bulls II Make Montclair State University Home; Remainder of 2016 USL Schedule to be played at Red Bull Arena", New York Red Bulls, May 10, 2016. Accessed December 20, 2016. "New York Red Bulls II has finalized a partnership with Montclair State University to upgrade the university's current Pittser Soccer Complex to serve as the club's home beginning in 2017, the club announced today." ^ "NJ Pride Move to Rutgers", LAX.tv, January 19, 2006. Accessed December 20, 2016. "The New Jersey Pride, the Garden State's only professional lacrosse team, announced today that the team will play their 2006 home games at Yurcak Field on the campus of Rutgers University in Piscataway, the premier lacrosse facility in the state.... The move to Rutgers comes after the Pride spent the last two seasons at Sprague Field on the campus of Montclair State University in Montclair. Prior to the 2004 season, the team spent two seasons at Commerce Bank Park in Bridgewater, a year after playing at MSU's Yogi Berra Stadium." ^ PAkrs and Park Facilities, Montclair, New Jersey. Accessed January 21, 2018. ^ History of the Gardens, Presby Memorial Iris Gardens. Accessed January 21, 2018. "Frank Presby was an iris hybridizer and owned a fine iris collection. It was his expressed wish to give a collection of his favorite flower, the iris, to Montclair’s newly acquired Mountainside Park. Unfortunately, before he could carry out his plans, he passed away in 1924." ^ Montclair’s Alonzo Bonsal Wildlife Preserve! , NJUrbanForest.com. Accessed January 21, 2018. "Welcome to the 20.68 acre Alonzo F. Bonsal Wildlife Preserve! The preserve is located and owned by the Township of Montclair, New Jersey and was purchased with NJ DEP Green Acres funds." ^ About, Yantacaw Brook Park Conservancy. Accessed January 21, 2018. "Yantacaw Brook Park is the municipal park located in Montclair, New Jersey. The park consists of approximately 11.5 acres (47,000 m2) of land. The park contains a small pond and a stream that feeds into it. The pond is surrounded by trees and low hills. There are paths and benches throughout the park. The Yantacaw Brook feeds the pond and then continues into the Third River through Bloomfield, Nutley, and Belleville where it finally meets the Passaic River." ^ Montclair Information, Township of Montclair. Accessed July 4, 2008. ^ "Skateboarder Arrest Fuels New Bid For Skate park", July 31, 2007. Accessed October 3, 2013. ^ Emling, Shelly. "Montclair Town Council To Consider Skate Park Resolution Tuesday", Montclair Patch, August 2, 2010. Accessed October 3, 2013. ^ Emling, Shelly. "Skatepark In Montclair NJ! Ready To Make Its Case", Montclair Patch, July 4, 2010. Accessed October 3, 2013. ^ "Montclair Parents and Skateboarders Rally For Skatepark", Baristanet, June 30, 2010. Accessed October 3, 2013. ^ "The Faulkner Act: New Jersey's Optional Municipal Charter Law", New Jersey State League of Municipalities, July 2007. Accessed October 3, 2013. ^ Montclair's Form of Government, Montclair Township. Accessed July 4, 2016. ^ 2017 Municipal User Friendly Budget, Montclair Township. Accessed June 13, 2017. ^ 2016 Municipal Election May 10, 2016, Essex County, New Jersey Clerk, updated May 16, 2016. Accessed July 1, 2016. ^ Staff. "Essex County election results: Montclair, Orange get new mayors", The Star-Ledger, May 8, 2012. Accessed July 8, 2012. ^ Herbst, Diane. "New Montclair Township Council sworn in", The Montclair Times, July 1, 2012. Accessed July 8, 2012. "Shortly after they were sworn into office today, Sunday, July 1, members of the Montclair Township Council stand alongside one another at the council dais. From left are 1st Ward Councilman Bill Hurlock, 2nd Ward Councilwoman Robin Schlager, At-large Councilman Rich McMahon, Mayor Robert Jackson, Deputy Mayor and At-large Councilman Robert Russo, 3rd Ward Councilman Sean Spiller, and 4th Ward Councilwoman Renée Baskerville." ^ New Jersey Congressional Districts 2012–2021: Montclair Map, New Jersey Department of State. Accessed January 6, 2013. ^ Legislative Roster 2018-2019 Session, New Jersey Legislature. Accessed January 29, 2018. ^ District 34 Legislators, New Jersey Legislature. Accessed January 29, 2018. ^ "Timberlake Sworn-In to Serve Legislative District 34". Insider NJ. January 29, 2018. Retrieved January 29, 2018. ^ "NEW JERSEY LEGISLATIVE DIGEST for January 9, 2018". Office of Legislative Services. January 11, 2018. Retrieved January 29, 2018. ^ Voter Registration Summary – Essex, New Jersey Department of State Division of Elections, March 23, 2011. Accessed November 5, 2012. ^ 2008 Presidential General Election Results: Essex County, New Jersey Department of State Division of Elections, December 23, 2008. Accessed November 6, 2012. ^ 2004 Presidential Election: Essex County, New Jersey Department of State Division of Elections, December 13, 2004. Accessed November 6, 2012. ^ 2009 Governor: Essex County, New Jersey Department of State Division of Elections, December 31, 2009. Accessed November 6, 2012. ^ County Route 506 Straight Line Diagram, New Jersey Department of Transportation, June 2012. Accessed December 20, 2016. ^ Essex County Bus / rail connections, NJ Transit, backed up by the Internet Archive as of March 22, 2012. Accessed July 8, 2012. ^ Shuttle Service, Montclair, New Jersey. Accessed October 11, 2012. ^ Galant, Debra. 'Jersey; Montclair's Connection Has Its Price", The New York Times, September 29, 2002. Accessed October 3, 2013. "On Sept. 20, New Jersey Transit officially terminated service at Mr. Wilson's beloved Benson Street stop, as well as at the Rowe Street stop in Bloomfield and the Arlington stop in Kearny. Those closings were part of the price of progress. Tomorrow, New Jersey Transit is to open the Montclair Connection – a plan first announced in 1929 to combine the Montclair and Boonton Branch lines." ^ Herbst, Diane. "First new hotel in Montclair in a century in 2014? ", The Montclair Times, March 7, 2013. Accessed October 3, 2013. "Next year, an upscale, eight-story hotel with 100-plus rooms and a rooftop bar with views of the Manhattan skyline is expected to break ground in Montclair, the township's first new full-service hotel since the long-defunct Montclair Hotel was built in 1908." ^ District information for Montclair School District, National Center for Education Statistics. Accessed September 15, 2014. ^ School Data for the Montclair Public Schools, National Center for Education Statistics. Accessed September 15, 2014. ^ Bradford School, Montclair Public Schools. Accessed October 3, 2013. ^ Charles H. Bullock School, Montclair Public Schools. Accessed October 3, 2013. ^ Edgemont Montessori School, Montclair Public Schools. Accessed October 3, 2013. ^ Hillside School, Montclair Public Schools. Accessed October 3, 2013. ^ Nishuane School, Montclair Public Schools. Accessed October 3, 2013. ^ Northeast School, Montclair Public Schools. Accessed October 3, 2013. ^ Watchung School, Montclair Public Schools. Accessed October 3, 2013. ^ Glenfield Middle School, Montclair Public Schools. Accessed October 3, 2013. ^ "Buzz Aldrin Middle School". www.montclair.k12.nj.us. Montclair School District. Retrieved 2016-10-12. ^ Renaissance at Rand, Montclair Public Schools. Accessed October 3, 2013. ^ Montclair High School, Montclair Public Schools. Accessed October 3, 2013. ^ Our Schools, Montclair Public Schools. Accessed October 3, 2013. ^ New Jersey School Directory for the Montclair Public Schools, New Jersey Department of Education. Accessed December 29, 2016. ^ At a Glance, Montclair State University. Accessed October 11, 2012. ^ Essex County Catholic High Schools, Roman Catholic Archdiocese of Newark. Accessed July 20, 2016. ^ Essex County Catholic Elementary Schools, Roman Catholic Diocese of Newark. Accessed November 13, 2016. ^ 2016 National Blue Ribbon Schools All Public and Non‐Public, National Blue Ribbon Schools Program. Accessed November 13, 2016. ^ Clark, Adam. "These 10 N.J. schools earn Blue Ribbon honors", NJ Advance Media for NJ.com, September 28, 2016. Accessed November 13, 2016. "The U.S. Department of Education on Wednesday announced that 10 New Jersey schools have been named National Blue Ribbon Schools, a recognition celebrating excellence in academics." ^ Montclair Dispatch Web site., Accessed August 28, 2017. ^ Montclair Times Web site, Accessed August 28, 2017. ^ Sister City Exchange With Barnet, England Archived 2007-03-12 at the Wayback Machine, accessed September 12, 2006. ^ Twin Towns Archived 2010-01-31 at the Wayback Machine, Graz. Accessed April 7, 2015. ^ Yardley, Jonathan. "Gold by a Couple: 'Cheaper by the Dozen'", The Washington Post, August 25, 203. Accessed March 30, 2016. "They had a 14-room house in the New Jersey bedroom community of Montclair and rode around in a 'gray Pierce Arrow, equipped with two bulb horns and an electric Klaxon, which Dad would try to blow all at the same time when he wanted to pass anyone.'" Wikimedia Commons has media related to Montclair, New Jersey. Wikivoyage has a travel guide for Montclair, New Jersey.